Most everyone has heard these words, “I’m sorry but you’ll have to pay for this repair because your car is out of the manufacturer’s warranty”. What should you do say or do? 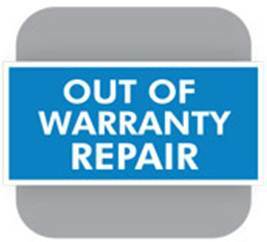 Obviously, we’re not talking about cars that are “way out” of warranty. A ten year old vehicle with 200,000 miles that has a 3 year or a 36,000 warranty will not be repaired free by your dealer or manufacturer. However, for cars those that are “close” to being within the warranty time and mileage there is a good chance that you can persuade the dealer/manufacturer to pay at least a portion of the cost of repair. This article is designed to tell you how best to do accomplish this. The easiest way to have your car repaired at no cost is if you initially brought the vehicle in for a problem while it was still under warranty, the dealer “attempted” to fix it, but did not. When the problem resurfaces, as long as you have in writing and on the record that this happened, you should have no problem getting your car repaired at no charge. To the lesser degree that your car is out of warranty, the greater is your chance that the factory authorizes a “goodwill” repair. Goodwill is what they call all repairs made at no charge when the car is out of warranty. If your car is only 5 miles out of warranty, this should be very easy to have approved. The further out of warranty, the more difficult this is and the less likely that you will have 100% of the cost paid by the manufacturer. For example, a car that’s 3,000 miles out of a 36,000 mile warranty may be granted just 50% of the cost of the repair under goodwill. It’s important to understand that the dealer often has no say in whether an out of warranty car can be repaired under goodwill. A good dealer should support your request for goodwill because he gets paid by the manufacturer for doing the repair and this make his customer happy. A bad dealer might not support your goodwill request because he would like to charge you more for the repair than the warranty will allow. 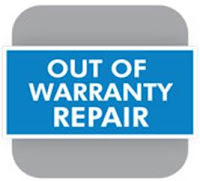 A dealer can charge you anything he wants for parts and labor but the factory allows him only his approved warranty labor rate, markup on parts, and time to complete the repair. If a dealer is reluctant to support your request for goodwill, be sure to take your request all the way to top. Take it to the service manager, then to the general manager, and then to the owner. If the dealer won’t support you, try taking it to another dealer who will. It’s very important that you have the support of the dealer when you take your request to the manufacturer. Without it, it’s highly unlikely you will get help. Some dealers are granted the authority to make goodwill adjustments directly as well as making decisions as to whether a repair should be covered under warranty. This can be good and bad. As I said earlier, a dealer can have an ulterior motive for not wanting to repair your car under warranty…he can make more money if he makes you pay. A dealer who is authorized to make warranty/goodwill decisions is so authorized because he has kept his warranty and goodwill costs low. This is bad for the customer if the way he has kept them low is by denying legitimate claims to make himself look good in the eyes of the factory and to avoid a warranty audit. To some service managers, it’s more important to be popular with the factory than with the dealer he works for. You want a service manager who works for a good dealer and whose loyalty is with that dealer who will be for his customers. Manufacturers and dealers will favor those customers who have bought cars from them and had their cars serviced with them. The dealer/manufacturer has your entire sales and service history on their computer. If you have bought 2 or more cars of this make and had them serviced regularly by the dealers of that make, they will “stretch” on the warranty coverage and goodwill. When asking for repairs for your car that is out of warranty, be courteous, factual, and as brief as possible. Never threaten to take your business away, sue, or call the media. Never raise your voice or curse. Dealership and factory employees are just like you…they tend to respond more positively to someone who is courteous and rational. You should put your request in writing, email or regular mail. If things are moving too slowly, it’s a good idea to call the factory 800 customer assistance number. Your request will be referred back to the dealer, but it’s good to be on record with the factory. When encountering difficulties, go on your PC and Google your repair problem. Google will direct you to chat rooms and other sources of information about people who have the same problem. You will be amazed at the number of people who have had the same problem. Sometimes even your dealer may not be aware that this repair is common among owners of the year, make and model. Knowing this gives you a strong psychological advantage. When you Google your repair problem, you may find out that the manufacturer has issued a notice to their dealers about this problem. This kind of notice is referred to as TSB or Technical Service Bulletin. Sometime s TSB will authorize the dealer to repair the car under warranty but only if the customer asks! You may even learn that this repair is covered under a recall campaign, but the dealer should have now that when he checked your VIN in his computer. The bottom line is don’t just take “no” for an answer. Go through the steps that I’ve covered above and you should have a pretty good chance of getting at least some of your repair paid for by the manufacturer. SHOULD I BUY MY CAR AT THE END OF THE LEASE? The best thing about making this decision is that you are holding the best hand in the card game between you, the leasing company, and the dealer. That is because you know your car better then they do. You probably have been driving it for close to three years, you know how well you have maintained it, how worn the tires are, whether or not its been wrecked and repaired, and how many dings, dents, or upholstery blemishes there are. You know if it was garaged and how you carefully you drove it. You also know, better than anybody, how well it runs. All of these things determine the value of your car. Unless you buy a new car, you can not have as much confidence in any other used car that you may buy than your own used lease car. The only assurance that you have when you buy somebody else’s used car is their word or the dealer’s word about how it was driven and maintained. That mean that if you did take very good care of your lease car, drove it carefully, kept it in a garage, waxed and washed faithfully, and maintained it carefully it is worth more to you than anybody else because you are the only one who knows that. And you can never be sure about that for any other used car you might buy. Given that you like your lease car and want to keep it, the next step is determine its wholesale market value. The leasing company usually is not in the business of selling cars, just leasing them. Getting rid of off-lease cars is expensive and time consuming for them. You have an advantage here too and you should be able to negotiate a good price. Remember, you know your car much better than they do. They will usually give you a price you can buy the car for without even looking at it. Oftentimes they will call you first about buying your lease car before the lease is up. Be careful when this happens because this can mean that they are facing a loss if they have to wholesale your car at the auction. They are calling you to sell you your car for more money than they can get for it at the auction. That is why you need to establish the current wholesale market value for your car. Car dealers call this ACV, for actual cash value. Check the Internet for information on the value of your car. www.kbb.com, the Web site for Kelly Blue Book is one of the best sources. Consumer Reports can also give you this information. The best check on the wholesale value is to actually drive your car to 3 or 4 car dealerships that are franchised for your make. If you drive a Ford, visit as many Ford dealerships as you can and tell them you want to sell your car. You aren’t misleading them because it’s a lease car. You could exercise your option to buy it from the leasing company and them resell it to the dealer, if the dealer’s offer was higher. If you live near a CarMax store, the largest retailer of used cars anywhere, they buy a lot of used cars over the curb and their prices are usually very competitive. Now that you are armed with the true market value for your car, you can negotiate the best price with the leasing company. Even if they won’t sell you the car for the ACV, wholesale value, paying as much as $2,000 over wholesale for a car you have absolute confidence in is a good deal. If you can buy it for wholesale or below, you should celebrate! Another thing to be on the lookout for with the leasing company is when they offer to extend your lease for the same monthly payment you are currently making. That is not a good deal. They are doing this because they will lose money if they sell this car at the auction at the present time. They want you to keep making payments on the car so that their depreciation rate catches up with the residual value. The residual value is the price they guessed your car would be worth in 3 years. If you had leased the car for longer at the onset of your lease, the payments would be lower than they are now. Why should you pay the leasing company the same as they charged you for a shorter lease? My regular readers know that I highly recommend Consumer Reports (CR) as the number one source of information on buying, leasing, or servicing your car. What makes CR superior to all others is their objectivity derived from being a not-for-profit corporation. They accept no advertising and all of their revenue derives from subscriptions and donations. When Motor Trend or Car and Driver magazines announce their “Car of the Year” award, the manufacturer inevitably has spent large sums of money advertising their cars in that magazine. CR will not even allow a manufacturer to give them a car to test; they buy the car from the manufacturer at retail! Furthermore, if CR gives a particular car a high rating, they will not even allow the manufacturer to use CR’s name or good report in their advertising. There is absolutely no conflict of interest when you read CR’s opinion on a car. You should always consult CR when choosing which make and model to buy and when determining what a fair price is. The May issue of CR has ten great tips that can help you make decisions about your present car and in buying your next car. If you’re a regular reader, you may have already heard me mention most of these tips and I’m flattered that CR agrees with my recommendations. I have added my take and enhanced advice on these CR tips. (1) Try before you buy. Never buy a car without trying it out for a reasonable period of time. Over 25% of people who buy cars, never even take a demonstration drive in the car they buy. Often these people are disappointed in some way with their new car but it’s too late because they’ve already signed on the dotted line. You should either rent a car of the same make and model for a few days or ask the dealer to loan you a car so that you can drive it in all conditions that you will be driving it after you buy or lease it. (2) Don’t lose radio presets when changing your battery. Just plug in a jump-start battery into your cigarette lighter during the battery change process. This protects other electronic modules from losing data too. (4) Don’t bother using nitrogen in your tires. It’s hard to believe that car dealers are still tricking customers into paying money to put nitrogen in their tires. CR tested the effectiveness of nitrogen on tire gas mileage and tire longevity and found it to be worthless. I conducted my own test even before CR did. Nitrogen is worthless in your tires mainly because that regular air is already 78% nitrogen. (5) Don’t be timid about filing a complaint on your car dealer. Too many people are either too embarrassed or too shy to notify the manufacturer, county office of consumer affairs, BBB, the DMV or the state AG after they’ve been ripped off by a car dealer. When you remain silent you allow and encourage that dealer to continue doing the same thing he did to you to others. (6) Leather seats are a good investment. There are lots of worthless accessories and options you should avoid like nitrogen and pain sealant. Not only does leather look, feel, and smell luxurious in your car it actually enhances the resale value. Another bonus is that it’s actually easier to clean than cloth interiors. But, beware of “dealer installed” leather. Try to always opt for factory leather. If you buy the dealer installed leather, look carefully at exactly what you’re buying and see how it differs from the factory installed. (7) Be wary of being among the first to buy that new model. It’s always safer to wait a year before buying a brand new model with a major redesign. Unfortunately the manufacturers often rush a new model to market without getting out all of the bugs. (8) Synthetic oil is now recommended by most manufacturers. This is one of CR’s recommendations that I don’t endorse 100%. They suggest you find out before you buy a new car if synthetic oil is recommended, suggesting that you might want to buy another make that recommends fossil oil because it’s less expensive. When synthetic oil first came out it was about twice the cost of regular oil. But the price is coming down as the sales volume grows. Also, the recommended interval to change oil with synthetic is twice as long. Synthetic oil will inevitably be recommended in all cars soon. It is consistent with today’s very tight tolerance engine designs and it does improve your gas mileage slightly. Also, if you choose, you may still use regular oil instead of synthetic but you must change your oil twice as often. (9) Consider leasing, not buying, that electric, hybrid or plug-in hybrid. Battery technology is improving so quickly that you could end up with a hybrid or plug-in with an obsolete battery. Your resale value would plummet. Tesla just announced a leasing program for their electric vehicle out of desperation because buyers are afraid they will end up with an obsolete car. If you want to buy a Tesla (which I don’t recommend), by all means lease, don’t buy one. (10) Pass up factory built-in navigation. These factory navigation systems are way over-priced, $1,500 to $2,500, and many of them aren’t as accurate or don’t have as many features as the Garmin you can buy at Costco for $250. You can mount a Garmin or Tom Tom GPS on your dash and have everything the factory navigation does and more. Smart phones today also have great navigation capability. This column originally ran in October of 2006 and I thought the timing was very appropriate to run this column again. The current President of the Senate, Ken Pruitt formed a Senate Investigation committee to investigate the dealer fee and the results have been sent to the Florida legislature. In a nutshell, the recommendation is that the legislature ban or at least cap dealer fees as they have in other states. If you want to read the entire text of the Senate’s recommendation, you can click on www.EarlStewart.com and then “Results of Florida Senate Dealer Fee Investigation”. By the way, dealer fees are just as rampant as they were in 2006 and dealers are actually increasing the amount they charge. You can pick up a copy of the Sun Sentinel, Palm Beach Post, Stuart News, or any other South Florida newspaper and find illegal ads by dealers who do not include their dealer fees in their advertised prices. Those who do comply with the law, include the price in just one car [disclosed covertly by an alpha-numeric code which means this stock number is the only one available that price]. You come in for the advertised car and it has “already been sold but they have another one just like it”. What they don’t tell you is that their dealer fee can now legally be added to advertised price because it isn’t the same car that was advertised. After reading this column, please contact your state legislator and voice your opinion about this “dealer license to steal”. I have invited Senator Jeff Atwater to appear on my radio talk show on Saturday, February 9. Jeff Atwater is to be the next President of the Senate, the most powerful politician in Tallahassee. We need to convince Jeff Water to pass legislation banning or at least capping it. I expect Senator Atwater will be able to come on my show, WSVU, Seaview AM 960. I’ve spoken to his assistant, Sherry, several times. In our last conversation, she gave me the date of February 9. There was one conflict. He had an appointment at 9:30 AM and my show is from 9 to 10. But she was optimistic it could be moved. If he can’t come in, she said he will call in. You can email Senator Atwater at Jeff@SenatorJeff.com and you can call him at 561 625-5102. I started in the retail car business in 1968, about 38 years ago, and I have seen a lot of changes in the way we dealers sell cars and the expectations of our customers. My remarks in this column are made sincerely and with a positive intent toward you and your customers. I am not trying to tell you how to run your business; I am suggesting a change that will reward both you and your customers. Virtually every car dealer in Florida adds a charge to the price of the cars he sells, variously referred to as a “dealer fee”, “documentary fee”, “dealer prep fee”, etc. This extra charge is printed on your buyer’s orders and is programmed into your computers. It has been made illegal in many states including California. You charge this fee to every customer and it ranges from a few hundred dollars to nearly a thousand. Florida law requires that, if you charge a dealer fee to any customer, you must charge all customers. It also requires that you disclose in writing on the buyer’s order that this charge represents profit to the dealer. Florida law also requires that you include this fee in all advertised prices. You don’t always do this and you get around the law by limiting the number of advertised vehicles (as few as one). The argument that I hear from most car dealers, when I raise this issue, is that the dealer fee is fully disclosed to the buyer on his buyer’s order. But, most car buyers are totally unaware that they are paying this. Who reads all of the voluminous paperwork associated with buying a car? The few who notice it assume it is an “official” fee like state sales tax or license and registration fee. Those few astute buyers who do question the fee are told that your dealership must charge this fee on every car, which would not be true if you were to make the decision to not charge the dealer fee to anyone. These astute buyers are also told that all other car dealers charge similar fees. This is almost true, but, as you know, my dealership does not. The reason you charge this fee is simply to increase the cost of the car and your profit in such a manner that it is not noticed by your customer. This is just plain wrong. Dealers will admit this to me in private conversations and some will admit that they have considered eliminating the fee as I have, but are afraid of the drastic effect to their bottom line. By being able to count on an extra $895 in profit that the customer is not aware of or believes is an “official fee”, you can actually quote a price below cost and end up making a profit. Or, if the price you quote the customer does pay you a nice profit, you can increase that profit by several hundred dollars. This “extra, unseen” profit is even better for you because you don’t pay your salesmen a commission on it. That’s being unfair to your employees as well as your customers. When the rare, astute buyer objects to the dealer fee, the law permits you to decrease the quoted price of the car by the amount of the dealer fee. This would have the same net effect of removing it. The salesman often won’t permit this because he will lose his commission (typically 25%) on the decrease in his commissionable gross profit. If you don’t know me, I should tell you that I don’t profess to be some “holier than thou” car dealer who was always perfect. Although, I never did anything illegal, when I look at some of my advertising and sales tactics 20+ years ago and more, I am not always proud. But, I have evolved as my customers have evolved. My customers’ expectations, level of education, and sophistication are much higher today. Your customers are no different. As I began treating my customers, and employees, better I discovered that they began treating me better. Yes, I used to charge a dealer fee ($495), and when I stopped charging it a few years ago, it was scary. But I did it because I could no longer, in good conscience, mislead my customers. Just because everybody else was doing the same thing did not make it right. Now here is the good news. My profit per car did drop by about the amount of the dealer fee when I stopped charging it. But, when my customers realized that I was now giving them a fair shake and quoting the complete out-the-door price with no “surprises” the word spread. My volume began to rise rapidly. Sure, I was making a few hundred dollars less per car, but I was selling a lot more cars! I was, and am, selling a lot of your former customers. My bottom line is far better than it was when I was charging a dealer fee. You can do the same! Why am I writing this letter? I’m not going to tell you that I think of myself as the new Marshall that has come to “clean up Dodge”. In fact, I am well aware that this letter is to some extent self-serving. Lots of people will read this letter to you and learn why they should buy a car from me, not you. And, I’m also aware that most dealers who read this will either get angry and ignore it or not have the courage to follow my lead. But maybe you will be the exception. If you have any interest in following my lead, call me anytime. I don’t have a secretary and I don’t screen any of my phone calls. I would love to chat with you about this.